What better way to display a 'Hole in One'. 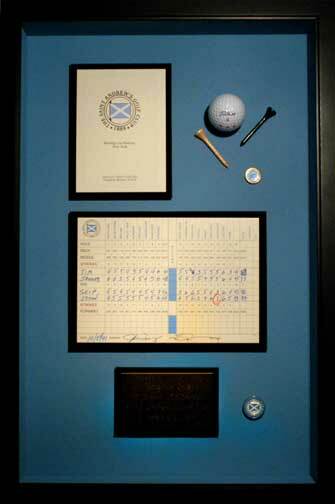 Call Golf-ART to custom design your own beautiful ShadowBox display case. Also a great way to commemorate a special golf trip or event. Pricing from $150 depending on size and materials.